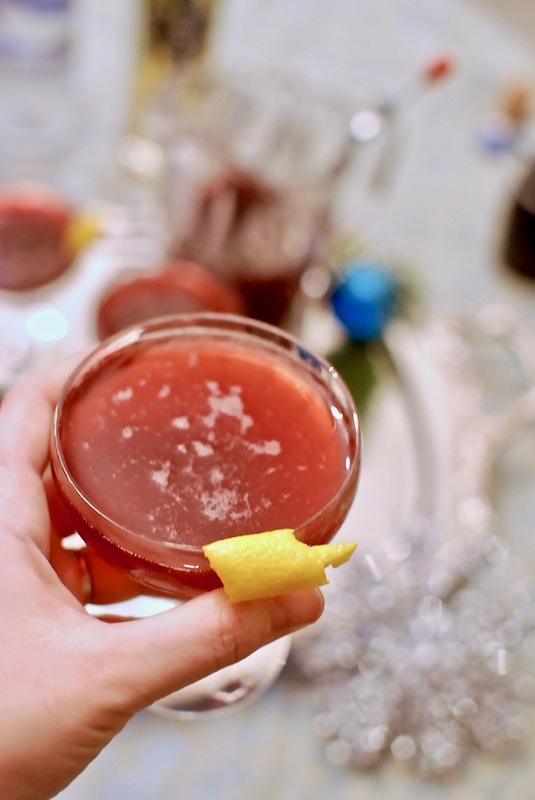 Ring in the New Year with a Bubbly Blackberry Cocktail blended with Champagne, St. Germain, and Vodka. There is nothing more delightful and charming than a glass of bubbly. It is sparkly and refreshing, not to mention the lovely glassware in which champagne is served. Then there is the pop of the cork, which is a most agreeable sound. And if you don’t agree with all of the above, I don’t think we can be friends 😉. Needless to say I never need an excuse to drink some bubbly, and of course it is absolutely essential New Year’s Eve! I do like to mix things up from time to time and try champagne with different juices and liquors. I’ve got another lovely champagne cocktail here. 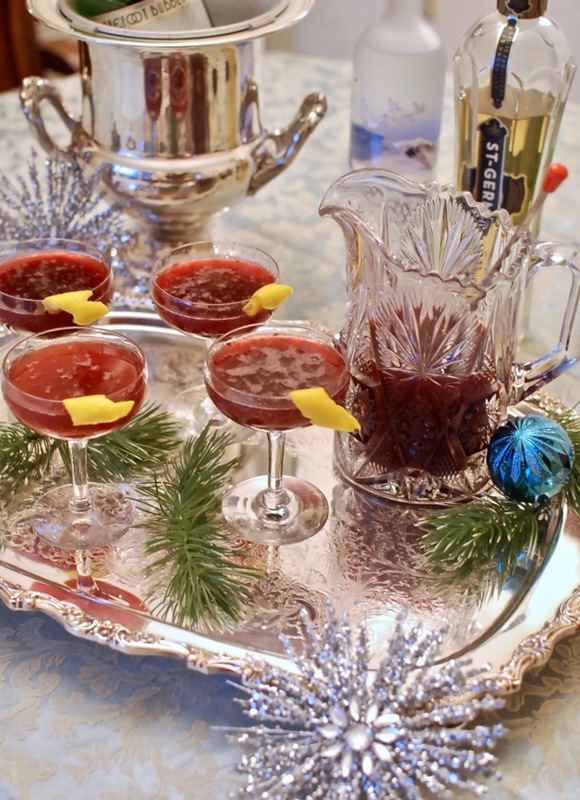 For this New Year’s Eve, I’m serving a champagne cocktail with blackberry juice, St. Germain, vodka, and lemon. It’s a Bubbly Blackberry! 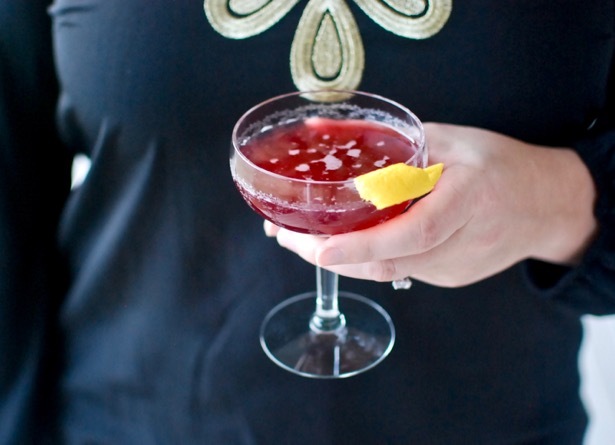 Fill a medium sized cocktail pitcher with about a cup of ice and pour in the vodka, St. Germain, lemon juice, and blackberry juice. Mix in the agave and stir until dissolved. 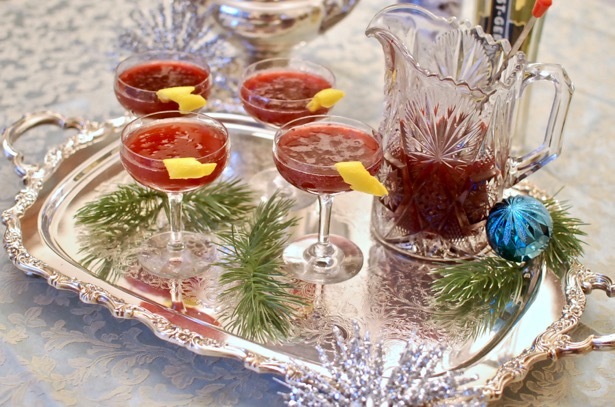 Fill champagne flute or coupe with blackberry mixer three-fourths full (strain out the ice) and top with cold champagne. Peel lemon rind for garnish. I used homemade blackberry juice frozen from this past summer’s harvest. It was organic and unsweetened. 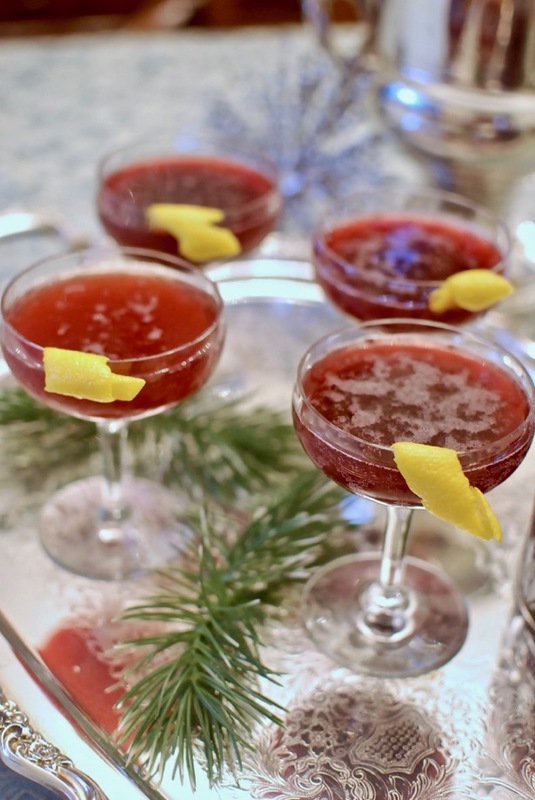 If you can only find sweetened blackberry juice, you probably won’t need to add the agave. You could also freeze whole blackberries for another lovely garnish idea or use fresh ones on a pretty cocktail stirrer.